In startling broadcasts on Fox Thursday evening, several members of Congress stated unequivocally that a report they were able to review on FBI and DOJ activities in 2016 showed multiple instances of FISA abuse against the Trump campaign. The congressmen – Jim Jordan (R-OH), Matthew Gaetz (R-FL), Raul Labrador (R-ID), and Andy Biggs (R-AZ) – confirmed that the opposition-research “dossier” paid for by the Democrats was used to justify FISA surveillance. They said it was clear from the information which officials had authorized or participated in some of the key abuses. They asserted without the caveat that the Mueller investigation is based on a lie, that there are officials in the DOJ and FBI who have known that all along, and that the Mueller investigation should be shut down forthwith. And they vowed to get the material they reviewed released for the review of the media and the public as soon as possible. Jordan and Gaetz spoke of the House of Representatives, via Speaker Paul Ryan, requesting the release of the report they saw on Thursday from the executive branch (i.e., the DOJ). But Raul Labrador, speaking an hour later on Laura Ingraham’s broadcast, said the House itself could release the material to the public on its own authority. Videos of the Hannity and Ingraham broadcasts are below. The discussion of the FBI FISA revelations is the first segment in the Hannity video and the beginnng of the Ingraham video. Information seems to be hurtling out of all this now, and there is no time tonight to put together a lengthy, detailed summary of it. What I would like to do here, as the exposure of some specifics finally seems to be growing near, is briefly bring together three of the “multiple threads” mentioned in the title. The three threads are the involvement, in sabotaging Trump, of the DOJ/FBI/dossier group; the involvement of the National Security Council/CIA group; and the incorporation of themes that appear designed to attack American rights and liberties, by making them seem implicated in a Russian influence operation. The “DOJ/FBI/dossier group” is a group because it formed the central nexus of what appears to have been a plan against Donald Trump. The earliest activities that come together within this group date to right around October 2015 (e.g., when Fusion GPS was first hired for anti-Trump research, although not for the dossier, per se). But one development, in particular, seems to have shaped and set up the critical period of April to June 2016, which was the pivot of the timeline for this group. That development was an effective clampdown by NSA, under the leadership of Admiral Michael Rogers, on the rapidly growing use of queries against the NSA communications database that could identify and track U.S. persons. Compliance violations had been self-reported at least as far back as 2013. But between November 2015, when the FISA court issued an opinion on the efficacy of controls for using the query capability, and March-April 2016, Rogers’ concerns caused the window to begin closing on the FBI’s ability to make the database queries with relatively little oversight and accountability. There is a whole lot more to say about that, including the important point that only some in the FBI had such an ability (the ones who could make national security as opposed to law enforcement queries), but this isn’t the place to say all of it. We can say that there were specific references to practices at the FBI in another FISA court opinion issued in April 2017 that indicated the FBI itself was particularly affected by the alterations. The essential thing to say here is that losing this ability as it had been exercised prior to the NSA clampdown appears to have prompted the Obama administration as a whole to take some subsequent actions. It may have also affected the choice of the DNC to hire Fusion GPS, which had unique connections through Glenn Simpson, his wife Mary Jacoby, and contract worker Nellie Ohr, to both Hillary Clinton and the DOJ. It may or may not have been a coincidence that hiring Fusion also brought a connection to a group of Russians (e.g., in the Prevezon Group), with some of whom Hillary had had links (not strong or close ones) in New York City. Certainly, through John Podesta and his brother, as well as through the Clinton Foundation, Hillary had extensive links to Russians. As important as that was, the other consequences of the FISA clampdown were equally so. This is where the timeline really stands out. 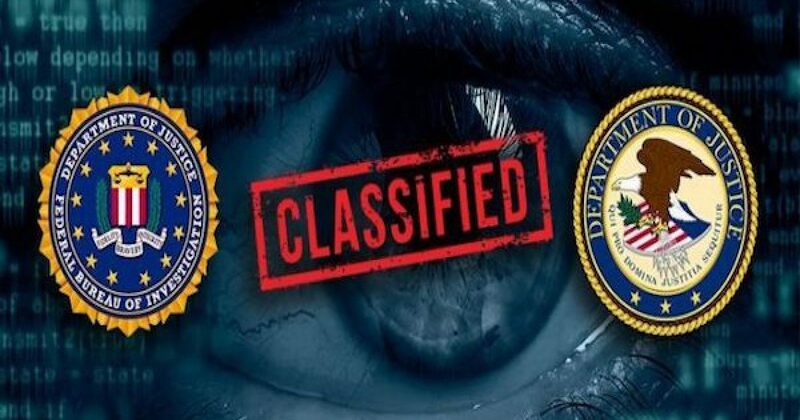 It was shortly after the window closed on relatively unaccountable access to NSA database queries – in approximately March-April 2016 – that the FBI made its first application for surveillance that would target someone in the Trump campaign. That was in June 2016. The obvious deduction is that the administration wanted to continue collecting the Trump campaign’s communications, but was now having to try to justify it in an accountable manner to the FISA court. The first application failed. The Steele dossier compiled by Fusion for the DNC and Hillary Clinton was then used to beef up the second application, which was approved in October 2016, reportedly for the communications of one-time campaign aide Carter Page. Page was no longer with the campaign at that point – which meant that the authority the FBI presumably wanted was to run queries against his earlier communications. That would make it possible to gain visibility on others in the Trump campaign with whom Page had communicated while he was still with it. This package of activities involving DOJ and FBI personnel, and Fusion and the dossier, is one thread. This is the one we’ve been hearing the most about for the last six months. It seems likely to be the source of the most outrageous or indictable abuses of government authority – as the update on Thursday from the House Intel Committee indicates. But there are other threads that are important. One is the NSC/CIA thread, in which Susan Rice, John Brennan, and Samantha Power were “unmasking” Americans using the NSA database, reportedly including members of the Trump campaign. This is actually what Rep. Devin Nunes found out about in March 2017, and is something we still don’t have a good handle on. Without going into that in excruciating detail, the point is that from the NSC, it was possible to run the less-accountable database queries for longer (throughout 2016) than it was from the FBI. And that’s why the querying was being done so extensively by NSC personnel in the names of senior officials: Rice, Brennan, and Power. The queries from the NSC may well have ramped up as queries were drawing down from the FBI. And they continued running well after the window had closed for the FBI users. This theory certainly suggests that the whole administration was effectively involved. But it also suggests that there wasn’t necessarily central coordination of a particular plan; e.g., the dossier. Again, we need to find out more about this. The initial comments from Nunes in early 2017, after he viewed the fruits of this effort firsthand, indicated to me that what was going on was almost certainly visibly unauthorized and informal. Nunes clearly found it shocking. As I have outlined in earlier posts, the technology has been in place since about 2015 to make such informal activity technically feasible. The only question was whether someone would engage in it. It would have been to cover the six of this operation – from the NSC – that the notorious revisions to Executive Order 12333 were signed off just weeks before the Obama administration was out the door. This is the operation that continued, even after Mike Rogers’ NSA began investigating and clamping down on violations in 2016. What was being done on the NSC was what still needed an excuse, as late as January 2017. It’s also very possible that it continued for some amount of time, even after Trump’s inauguration, until the incoming staffers had been able to make people like Nunes, and presumably members of Trump’s inner-circle staff, aware of it. The third thread I want to address here involves folding key American rights into the narrative about Trump, Russia, and election “collusion,” as if our rights are sources of corruption and danger. Many readers can probably come up with their own examples, but I’ll just mention two here. One came up in the last 24 hours, with the sudden recurrence of a theme that the National Rifle Association is compromised by the membership of a Russian named Alexander Torshin, and that Torshin’s brief exchange of pleasantries with Donald Trump, Jr. at an NSA gala in 2016 compromises Trump. This is one of many instances of innuendo with nothing behind it being lobbed out there as if it were significant. There is no evidence that Trump Jr. has had any dealings at all with Torshin other than meeting him and talking for a few minutes at the 2016 gala. Ed Morrissey dealt nicely with that, and the unproven nature of the innuendo about where the NRA got the funds it spent on the 2016 campaign. The whole thing looks like a nothingburger; we are urged in excitable terms to believe that there are big “questions” raised here, but there’s simply no evidence of anything. What is noteworthy is the choice of the NRA as a stalking horse for the Trump campaign. It would be very handy, as the 2018 mid-terms approach, to embroil the NRA in an investigation of its political funds, and thereby create political dust for Trump (and Republicans in general). This theme has actually been out there for months and has never taken hold. A theme that has taken hold is the “Russia on Facebook” theme, which posits that the election was unduly influenced through the washing of our brains by Russian-sponsored social media accounts and ad-buys in 2015 and 2016. Just as the “NRA” theme goes after a key advocacy organization for our Second Amendment rights, the “Russia on Facebook” theme goes after our First Amendment rights, with the implication that they are too dangerous to exercise now, in the era of social media. It doesn’t look accidental that the “Russiagate” narrative indicts our Internet communications, any more than it does that the Russiagate narrative indicts the NRA. And as with the NRA theme folded into Russiagate, the “Facebook” theme turns out to be flimsy to the point of absurdity. The Federalist had an excellent article on Thursday dismantling the theme from stem to stern: showing that nothing about the extremely minimal impact of the Russian accounts and ad-buys on social media would have had a meaningful effect on the election. The busy-work of folding these themes into the Russiagate narrative looks too targeted to be simple happenstance. Perhaps the Russians are attacking our rights by trying to make us doubt their sustainability, and by embroiling our rights in controversy. They can exploit our openness against us; e.g., by joining our organizations, and creating user accounts on our social media. I’m not posting a source of these fertile themes one way or another; many of you can think of your own. But it’s noteworthy that the impact of the themes seems to vary. Facebook has been highly reactive to the “Russia” theme, rushing to make big changes in how it presents content. This is in spite of the reality that no credible connection can be drawn between anything that happened on Facebook and the outcome of the 2016 election. The “NRA” theme, on the other hand, hardly anyone has heard of. It seems to generate interest only on left-wing blogs and advocacy sites. Perhaps the most important thing to say about the themes is that there’s not enough to them to legitimately interest law enforcement without embarrassing everyone. Using the media to exert psychological pressure – e.g., on Mark Zuckerberg – seems to be what they are useful for. We shouldn’t be complacent about that. Facebook has already made decisions that caused its market value to plummet by billions, based in significant part on accusations from the “Russia on Facebook” narrative. This is stupid stuff, but it’s having a real impact. * As mentioned in the text, I’m not going through explanations for all the acronyms and processes discussed in this summary. This is written for readers who have been keeping up on the topic and don’t need basic-level explanations. In the interest of getting this posted, I’m going to put it up without adding all the links I normally would. Those who have been following the threads here and at other websites with similar comprehensive-background treatments know that the links and documentation exist if you look through my previous posts on the topic. To clarify a general point: my estimate of how events were driven in the timeline is a working estimate, based on the character of events and when they fell. It’s likely to be updated and revised here and there. Two additional comments are worth making. One, this brief summary doesn’t convey the extraordinary number of personal connections among the players in the DOJ/FBI/dossier group, and the significance of those connections – why and how they existed – to the pivotal period of April-June 2016. Given those connections, it really is not possible that key events in that period simply developed as if in isolation from each other. The other comment is that we can’t really assess, even from the amount we know now, how much of any of this was caused by Russian instigation. There is zero evidence of any collusion between Russia and the Trump campaign, and I find nothing in the behavior of Hillary or other Democrats – nothing related to the election – that requires positing collusion with Russians to explain. But given that the Russians are, in fact, always trying to conduct influence operations, the possibility that they were behind some of the things that happened should not be arbitrarily excluded. That said, it seems clear to me that our first priority has to be cleaning up our own house.